On October 1st, major credit card companies like Visa, MasterCard, Discover and American Express, rolled out new card designs. Credit cards are now embedded with a small microchip, which makes it harder for hackers to access and duplicate. James Issokson, a spokesperson from MasterCard said, "The industry is looking to provide safer ways for consumers to make payments and moving to a chip card is a safer way for consumers to make purchases at the register." 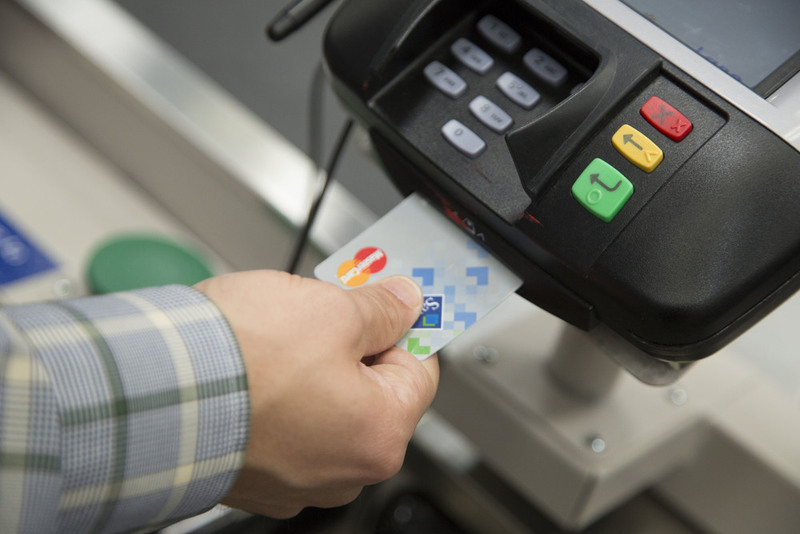 With the redesign, retail merchants are encouraged to replace their existing credit card readers to chip card terminals. If not, they may be held responsible for credit card fraud. As for those in the hospitality industry, restaurants will have to make modifications to their payment and tipping processes. To complete a transaction, users will have to insert their cards into the machines, rather than swipe through a magnetic card reader. Also, with the new change, patrons will no longer be able to pay for their bill at the table. Chris Biros, a restaurant manager at Olympos Diner, explained, "No longer is a customer going to be able to hand anybody their credit card anymore. They would have to go to the register, the card would have to be (dipped) by the employee and then the patron would have to enter their PIN number and with their PIN number it will come up with their check and then they will have to enter their tip." However, Issokson refuted that establishments can choose to upgrade to portable payment terminals, which can be brought to a table, where customers can easily pay from their seats. Biros argued that the new protocols will make the payment process more complicated. He stated, "It ends up being more work for the customer than the employee." Amy Bracket, owner of Center Street Luncheonette, recently updated her restaurant's payment systems, but she doesn't seem to think that the new cards would make much of a difference. She said, "We're a pretty casual restaurant and sometimes folks will just come up to the counter and pay there." She presumed that only after some time, she'll actually see if big changes need to be made. She exclaimed, "It's hard to say how it's going to affect us until it happens. This business is very fast and things happen on the fly and sometimes you just have to go with it."